The biggest concern in the operation and life expectancy of your professional-grade pneumatic tools is moisture! Specifically, water vapor. You know this water vapor as humidity, and it is always present in the air around us in varying degrees. When this air is compressed, moisture in the inlet air concentrates with each cubic foot drawn in. As you compress air it gets very hot and because the air is very hot, the accumulated water in it remains as a vapor, however, when compressed air is expanded through air tools it cools rapidly. With high moisture content in the compressed air, this rapid cooling has been known to cause freeze-ups at the exhaust ports of pneumatic tools. Even before this hot, moist compressed air reaches the air tool, it starts to cool down just after it leaves the compressor. It then starts to condense this moisture into water. The number one cause of deterioration and failure in industrial and contractors air tools and related equipment are water-related issues. It is important to note that running air tools with higher inlet temperatures air to avoid this build-up of liquid moisture is also detrimental to air tool operation. This high-temperature air dries all of the lubricant in the tool leading to surface to surface contact and also deteriorates gaskets and O-rings. It also can have detrimental effects on other components. Some compressor packages include equipment to minimize moisture, however, even compressor systems with after-treatment solutions cannot completely prevent the buildup of damaging water vapor. 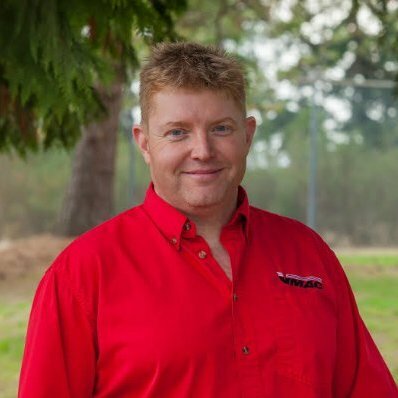 Because water vapor is always present in compressed air, moisture control is always needed. When you make the significant investment in quality air tools, their life expectancy and continued performance will depend on how well they are cared for. Have your tools completely serviced at least once a year. As you are probably aware, pneumatic tools are built with an intricate system of gears, rotors, pistons, o-rings and so forth, that are designed to work together to convert compressed air into working energy. However, when your tool converts this air into that energy, moisture is produced within the tool which, in turn, mixes with the oil that is already in the tool. This mixture becomes an emulsion, which is very poor lubricant. The emulsion can cause more metal to metal impacts inside the tool, as well as binding of pistons, which also generates more heat and results in premature wear and tear and loss of performance. The residual moisture contained in an air tool left on a workbench at the end of the workday can result in rust forming on the internal metal components in as little time as overnight. So, unless properly maintained, this deterioration attacks the overall performance and efficiency of our pneumatic tools. This component erosion is easily and entirely preventable. and an air dryer, always lubricate your air tools, with the correct tool oil, and your pneumatic tool should continue to operate efficiently for a very long time. You should put a couple of drops of pneumatic tool oil into the tool at the end of a work-day as the extra oil will protect its interior metal components from any residual moisture accumulated during the day. It is very important to not over-lubricate your pneumatic tools as this may also damage them. If the tool is being used constantly throughout the day, the best practice is to fit the air line with a filter/regulator/lubricator device. Liquid water in a compressed air stream increases the cost of operation. It contributes to many hours of unscheduled maintenance and premature tool failure as air tool lubricant gets washed away creating unnecessary wear. This highly acidic water eats away at air motors and valves and pistons within the tools. If you invest in the correct drying technology for your application, the compressed air lines stay dry. Other issues can affect the efficient operation and life expectancy of your air tools such as: incorrect pressure, water in your airlines, and particulate dust in the air (all atmospheric air contains some degree of particulate dust). The following are some guidelines when using air tools. Run air tools at their rated pressure. The recommended air pressure for most air tools is 90 to 100 psi. Running air tools higher than the recommended air pressure the tool can cause deterioration of the internal components and, in some applications, lead to dangerous accidents to the operator. Ruptured air hoses or couplings can injure the operator or others nearby. Filter/Regulator/Lubricators (FRL) are very important for each tool. The filter prevents dirt and dust from getting into the tool. 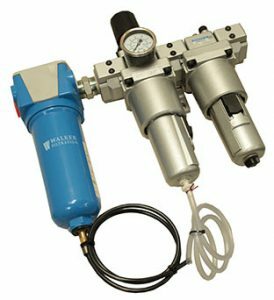 The regulator maintains the operating air pressure within the recommended psi rating and the lubricator keeps the tool lubricated making it last longer. Only use lubricants recommended by the manufacturer. Excessive lengths of hose between the FRL and the tool will result in the lubricant, which is delivered in an aerosol form at the discharge of the FRL, entering the tool as a liquid. This liquid oil can damage the air tool. The tool supplier should specify the maximum length of hose between the FRL and the tool. Only use air hose that is rated for compressed air use. Unrated hose can crack, break and whip around, resulting in injuries or other damage. Consult your compressor supplier for recommendations on after-treatment equipment. Maintaining your air tools as well as ensuring your compressed air is as clean and dry as possible will help prolong the life expectancy of those tools and protect your investment.